“I can still taste the dirt in my mouth when I hit the ground, that parched dirt,” Rep. Mike Bishop, R-Mich., recalls. Bishop and other Republican lawmakers who were present one year ago Thursday when a man opened fire during practice for a congressional baseball game say the shooting is etched in their memories. They also say it affects how they see their public service. 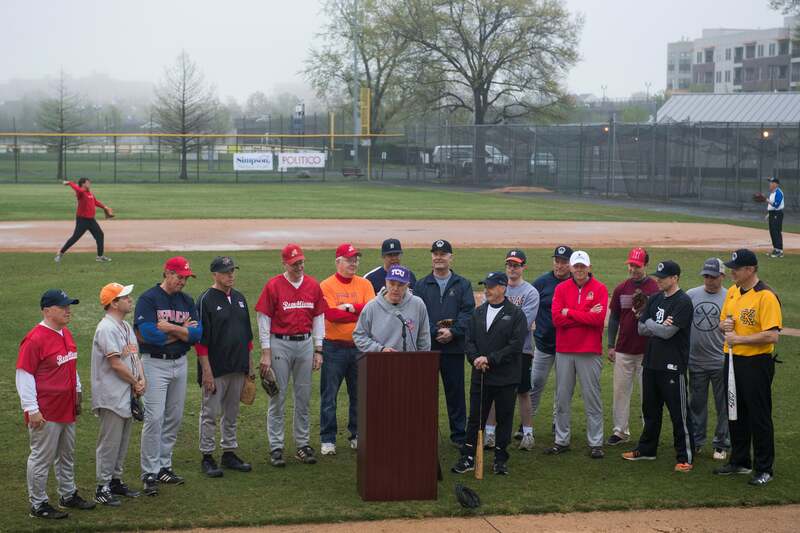 House Majority Whip Steve Scalise, R-La., and at least 21 other Republican members of the House and Senate were at baseball practice at an Alexandria ballpark when James T. Hodgkinson, 66, of Belleville, Illinois, began shooting at them shortly after 7 a.m. He fired about 70 rounds, authorities said at the time. Scalise, the No. 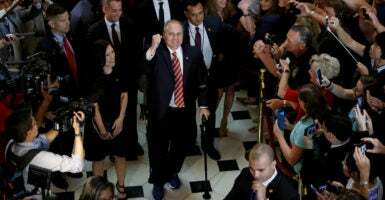 3 House Republican, returned to Congress on Sept. 28, walking with canes after extensive surgeries and an initial recovery from the bullet that shattered his left femur and damaged his hip and pelvis. Four others, including two Capitol Police officers, were wounded in the attack before police brought down Hodgkinson, killing him in an exchange of gunfire. “I think it was a wake-up call to some people,” Rep. Bill Johnson, R-Ohio, tells The Daily Signal in an email. Johnson had left the ballfield just minutes before Hodgkinson began shooting at Republican lawmakers and staff during the practice on June 14, 2017. “People respond to what they see on the news and when they see members of Congress being divisive and going at each other, it just plays right out in our society because Congress is a microcosm that is a reflection of our own society,” Johnson says. Rep. Gary Palmer, R-Ala., recalls for The Daily Signal where he was standing when he heard the gunfire. One bullet hit team coach and former Capitol Hill staffer Matt Mika in the chest, just missing his heart, and another severed a major nerve in his left arm. His doctors said Mika, a government relations director for Tyson Foods Inc., narrowly escaped death. 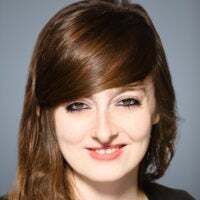 Zachary Barth, a legislative aide to Rep. Roger Williams, R-Texas, sustained a minor injury. Bishop says he was trying to make it to the one open exit from the field when Capitol Police Special Agent David Bailey, on Scalise’s security detail, made a valiant effort to cover the lawmakers. Advancing with Bailey was a colleague, Special Agent Crystal Griner. Griner was hit in the leg, Bishop says, and he watched the officer use her weapon to prop herself up over the hood of a car. “I have never seen that level of courage and valor,” the Michigan Republican says. Had Scalise not been at the practice with his Capitol Police security detail, the day could have ended much more tragically, Rep. Rodney Davis, R-Ill., says in an interview with The Daily Signal. “Steve could … have had a meeting, but he was there, [and] because of that, and David and Crystal firing back, we’re all here today,” Davis says. On July 27, 2017, President Donald Trump awarded the Presidential Medal of Valor to Bailey, who also was wounded, and to Griner, who was still walking on crutches, as well as to three Alexandria police officers who responded. Like Johnson, Rep. Jeff Duncan, R-S.C., had departed practice early and, unbeknownst to him at the time, encountered the shooter as he was leaving with an aide and Rep. Ron DeSantis, R-Fla. He said, ‘Excuse me, can you tell me who is practicing today, Republicans or Democrats?’ And I said, ‘This is the Republican team,’ and he said, ‘OK, thanks,’ and turned and ran across the parking lot. Duncan says he believes it is a miracle that his life was spared. I truly believe it was a God thing, it was a God thing. The guy had my name on his list, he talked with me. He either had scales on his eyes or just wasn’t ready to commit an act of murder at that point in time. Rep. Chuck Fleischmann, R-Tenn., tells The Daily Signal that the shooting reminded his colleagues on both sides of the aisle of the importance of their shared mission and responsibility. Davis says the shooting’s immediate aftermath reminded him of the goodwill that the country still possesses, even with its vast political differences. Duncan, the South Carolina lawmaker, says the shooting left a lasting impression on those who experienced it. “It has been tough on the members of Congress that were there. And it has been a year now, and we still talk about it almost weekly, and have for a year,” Duncan says.